I don’t know if Uspez Morbo was thinking of Krull when he named a fighter Glave (right), but it’s certainly a lot cooler than the film was. The fighter has some nice smooth lines, and narrow shapes combined with some bulky sections to give a nice balanced aesthetic. 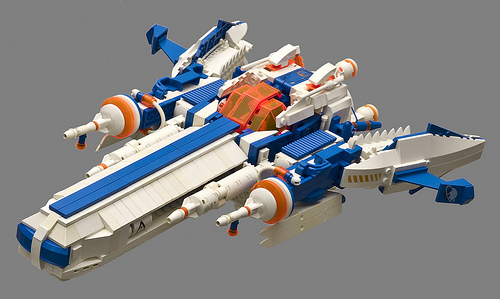 He has also posted a fighter (below) that shares some shapes and construction in common with the Glave, but in the Ice Planet 2002 color scheme. 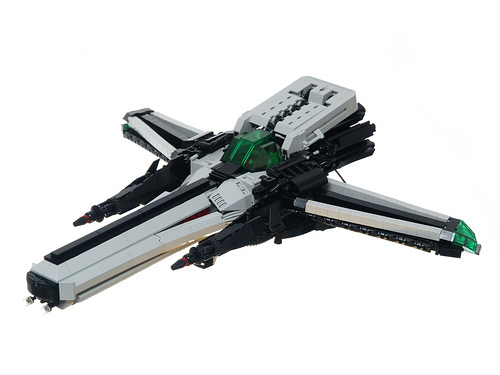 Not only does it look cool, but it has an awesome ejection feature. Thanks to Shannon Ocean for the tip about the Glave.